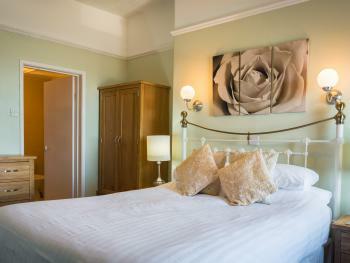 Room 15 is a well proportioned, beautiful double room, with solid pine furniture and soft carpets, on the second floor. 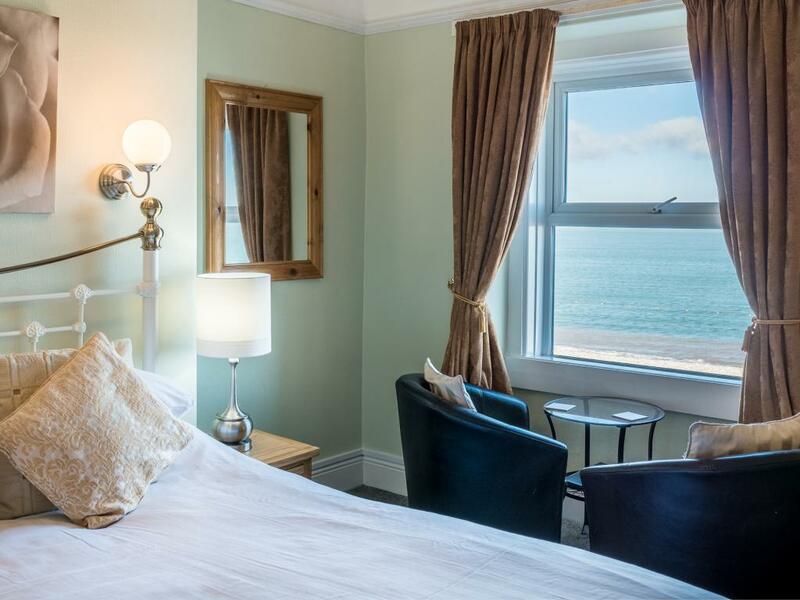 The room has a comfortable seating area nestled in the window, where our guests can enjoy the stunning sea view. 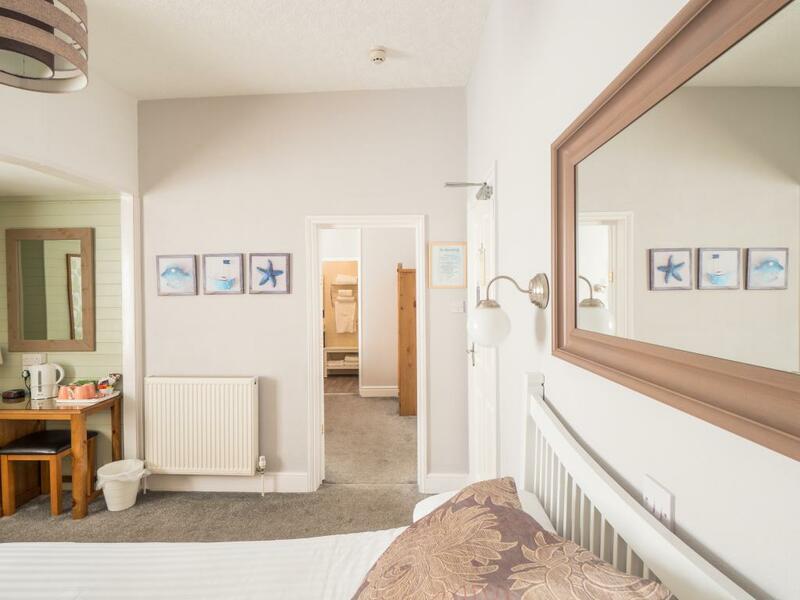 Each room has a modern en-suite, with shower, toiletries, sink & toilet. 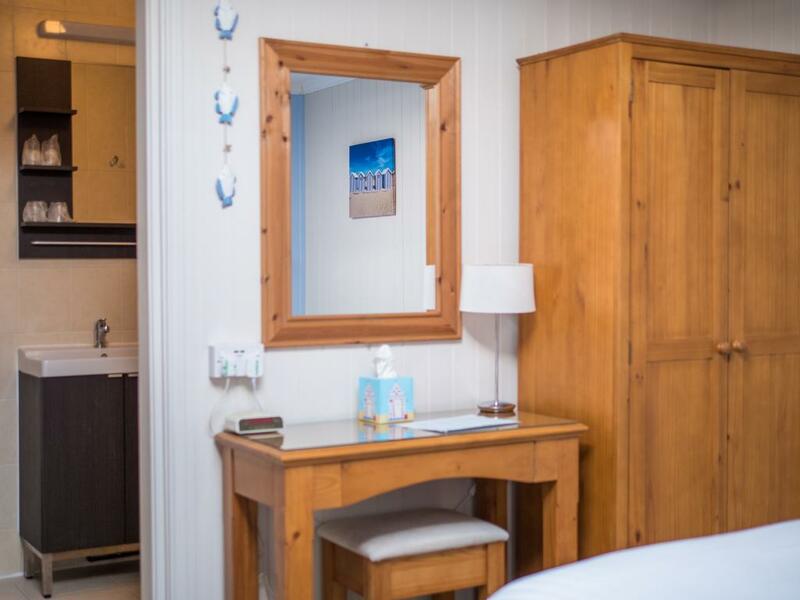 There is a hot drinks tray with a wide selection of products which are replenished daily, a large flat screen digital television, radio alarm clock, fluffy towels and hairdryer. 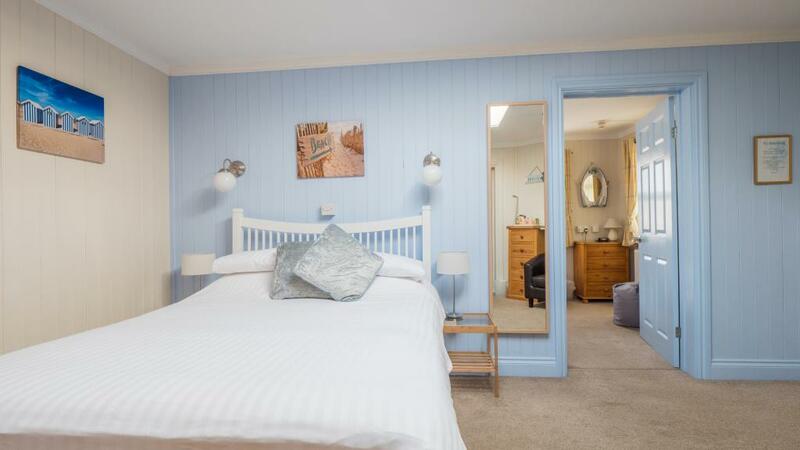 Room 7 is a lovely, sunny double room on the first floor with solid pine furniture, soft carpet and inland views. 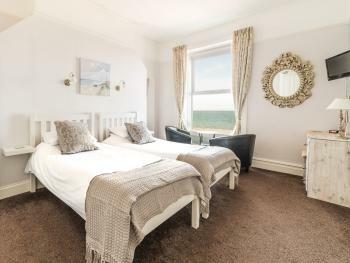 It has a comfortable seating area nestled in the window. 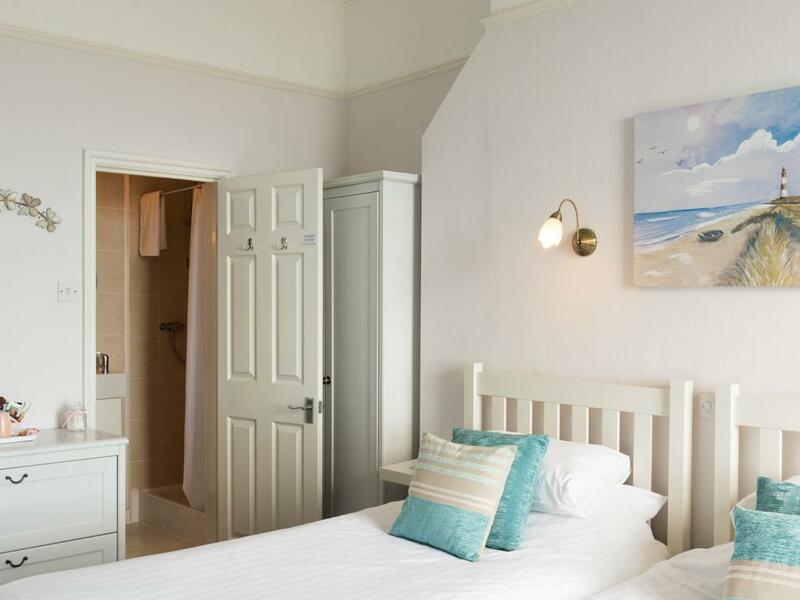 The room has a modern en-suite, with shower, toiletries, sink & toilet. 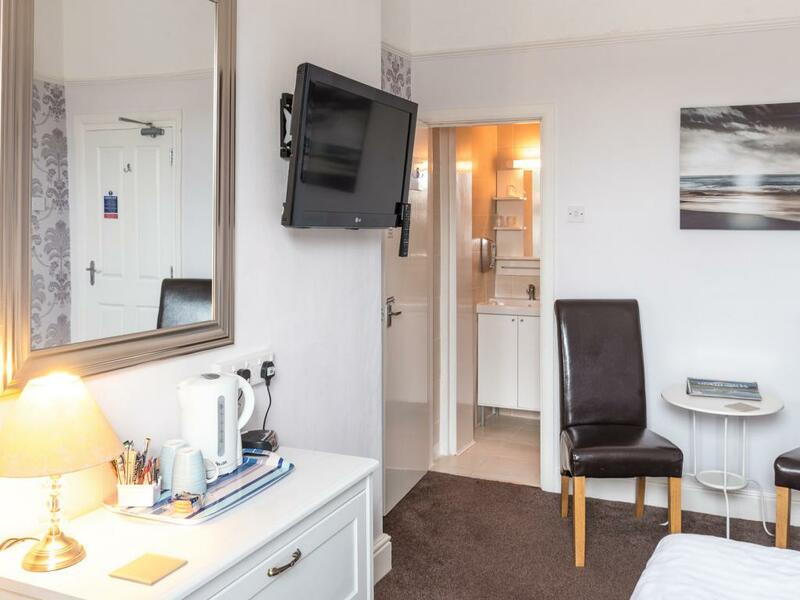 There is a hot drinks tray with a wide selection of products, which are replenished daily, a large flat screen digital television, radio alarm clock, fluffy towels and hairdryer. 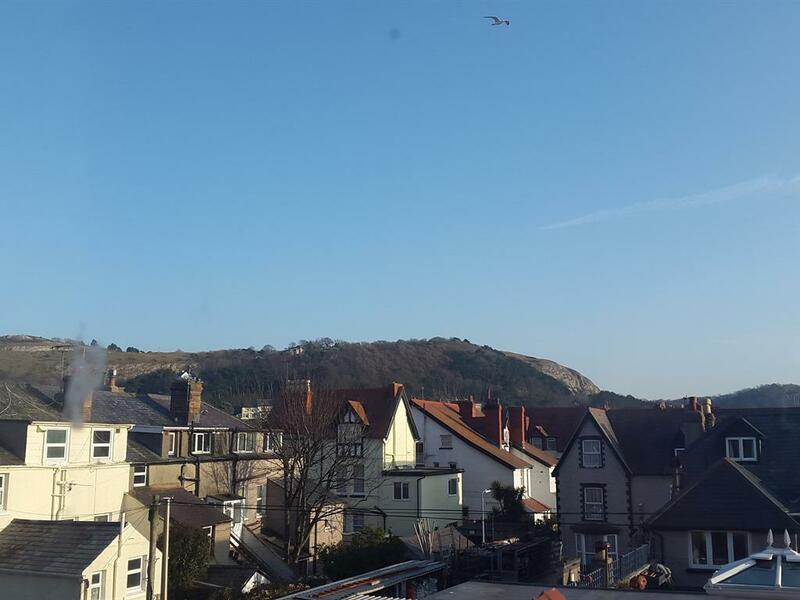 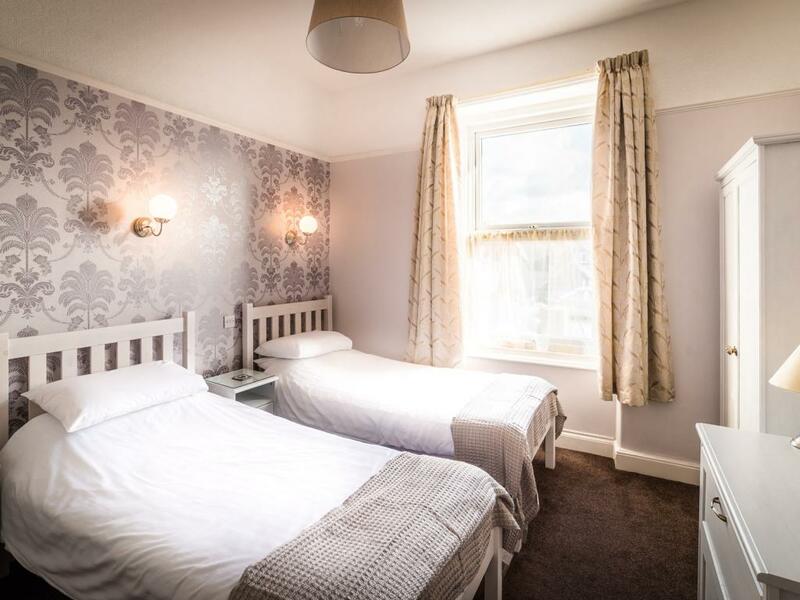 Room 8 is a lovely sunny twin room on the first floor, with two single beds, bright furniture, soft carpet and a comfy seating area.The room has a modern en-suite, with shower, toiletries, sink & toilet. 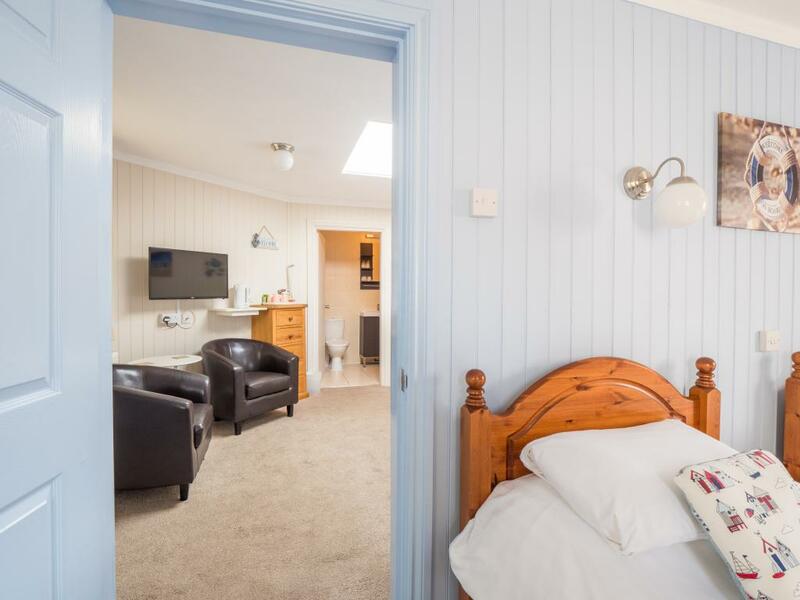 There is a hot drinks tray with a wide selection of products which are replenished daily, a large flat screen digital television, radio alarm clock, fluffy towels and hairdryer. 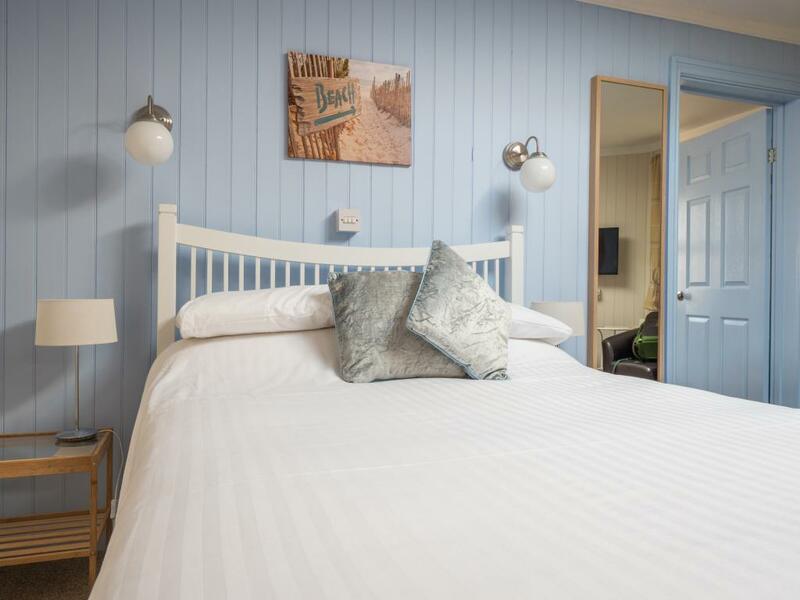 Room 11 is a well proportioned, beautiful quadruple suite on the second floor, with solid pine furniture and soft carpets. 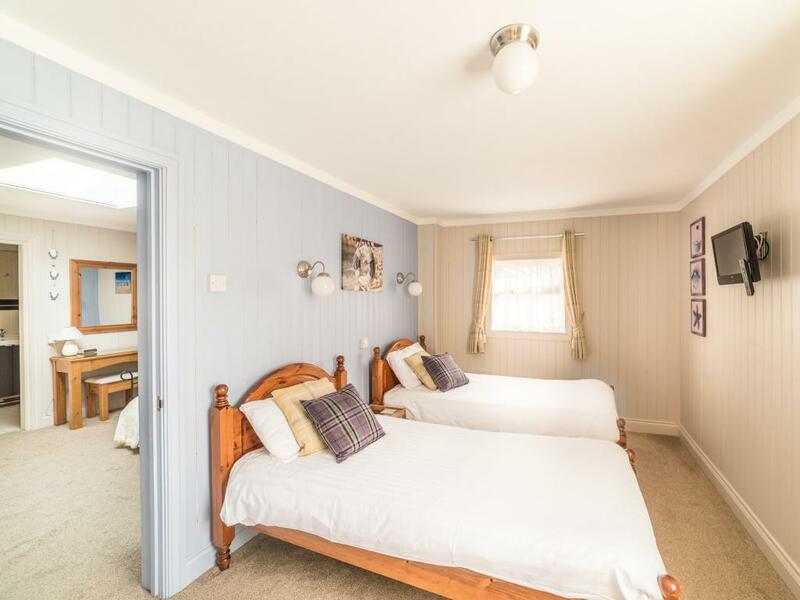 We are very proud of this very rare inter-connecting family suite and feel that the privacy, comfort and space it affords is second to none. 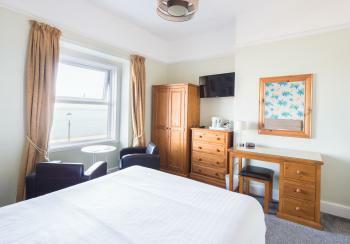 Room 11 comprises of two inter-connecting rooms with a double room with a comfortable seating area, dressing table, large flat screen (digital) television, alarm clock, tea & a hot drinks tray with a wide selection of products which are replenished daily, and hairdryer, a separate twin room with flat screen (digital) television and alarm clock and a modern en-suite, with shower, toiletries, sink, toilet, and towels. 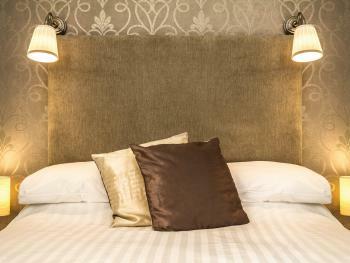 This suite faces inland with pretty distant mountain views. 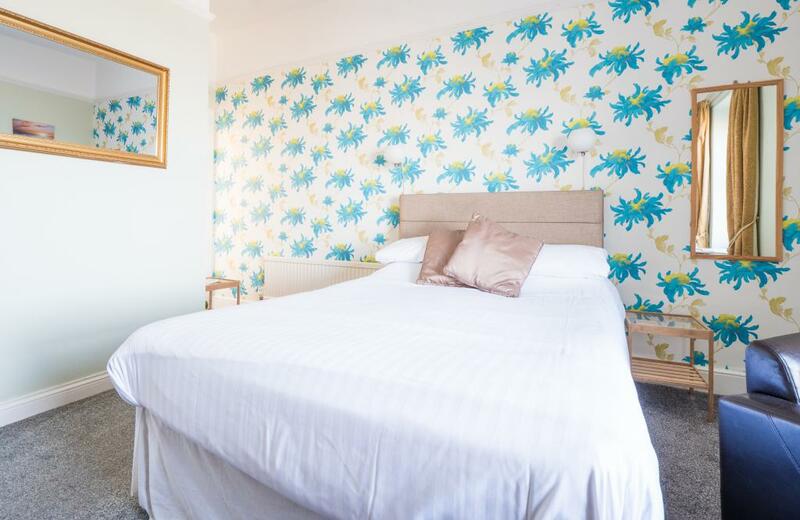 Room 2 is a well proportioned, beautiful quadruple suite on the ground floor, with restricted views. It is perfect for those who struggle with stairs, or those who do not need a view. 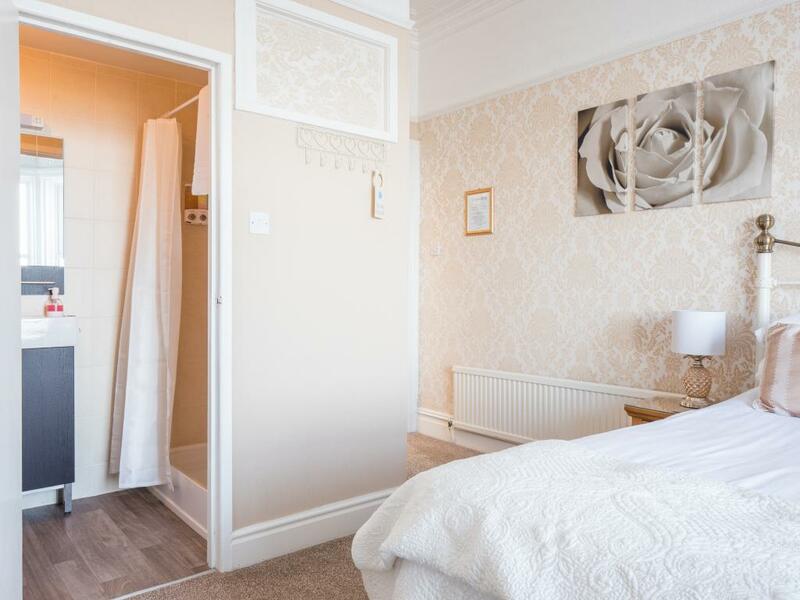 We are very proud of this very rare inter-connecting ground floor family suite and feel that the privacy, comfort and space it affords is second to none. 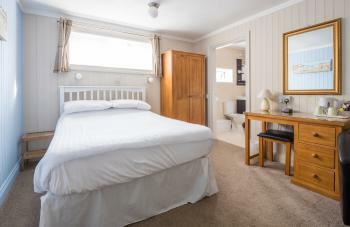 Room 2 comprises of two inter-connecting rooms with a double room with a comfortable seating area, dressing table, large flat screen (digital) television, alarm clock, tea & hot drinks with a wide selection of products which are replenished daily, and hairdryer, a separate twin room with flat screen (digital) television and alarm clock and a modern en-suite, with shower, sink & toilet, towels and toiletries. 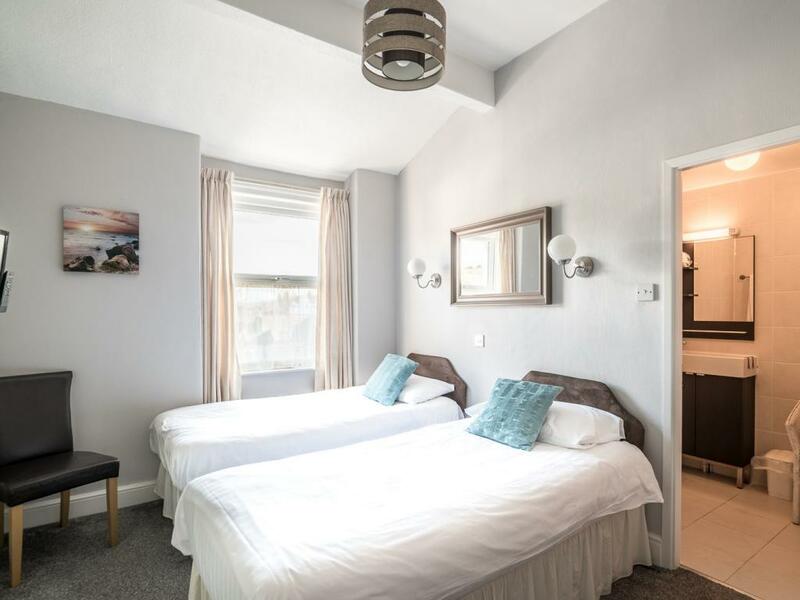 This suite has windows and a beautiful sky light but no views. 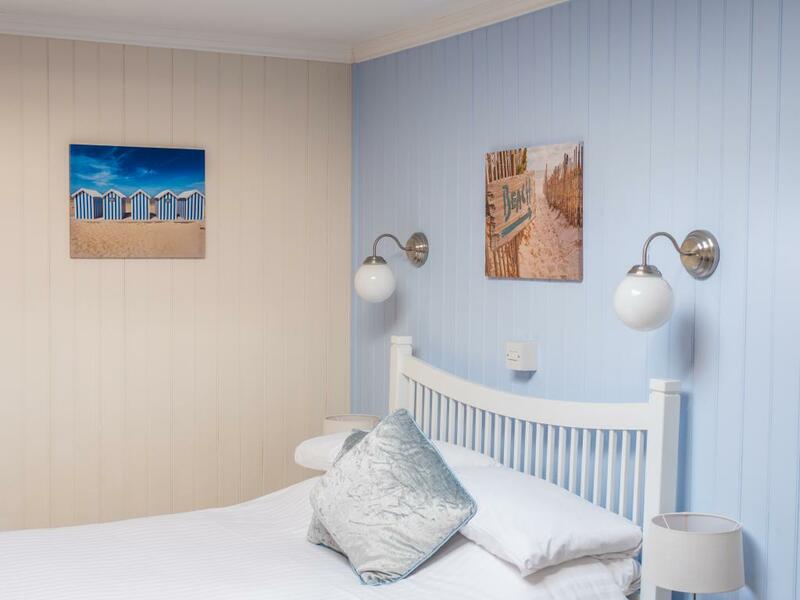 Rooms 3 is a lovely, cosy, beautifully decorated double room on the ground floor with solid pine furniture and soft carpets. 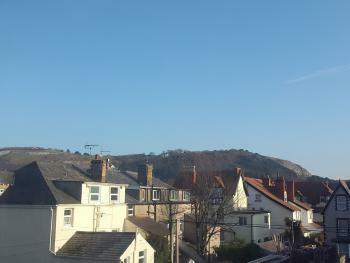 The room has windows but no views as such, perfect for those who struggle with stairs or do not need a view. There is a comfortable seating area and modern en-suites, with shower, toiletries, sink & toilet. 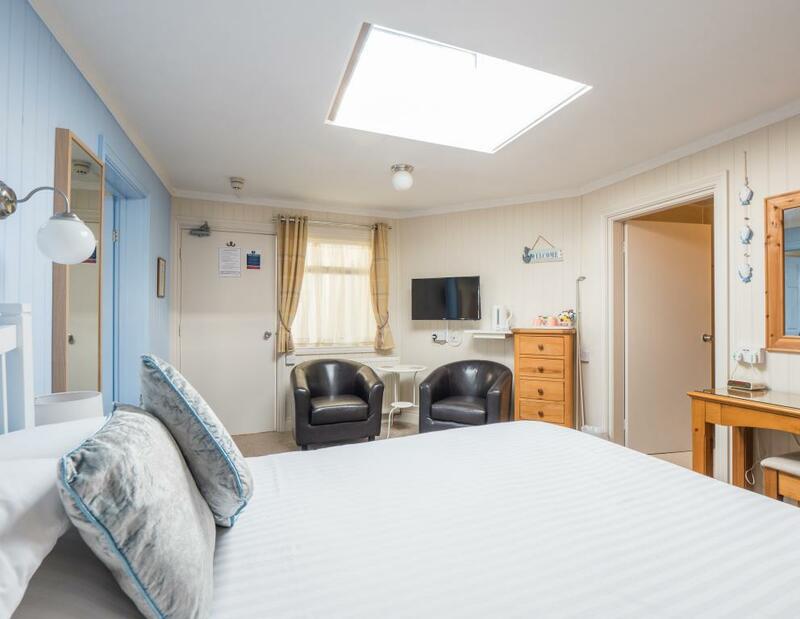 There is a hot drinks tray with a wide selection of products which is replenished daily, a large flat screen digital television, radio alarm clock, fluffy towels & hairdryer. Rooms 6 is a lovely, cosy, well decorated double room on the ground floor off the reception area with solid pine furniture and soft carpets. The room has windows but no views as such, perfect for those who struggle with stairs or do not need a view. 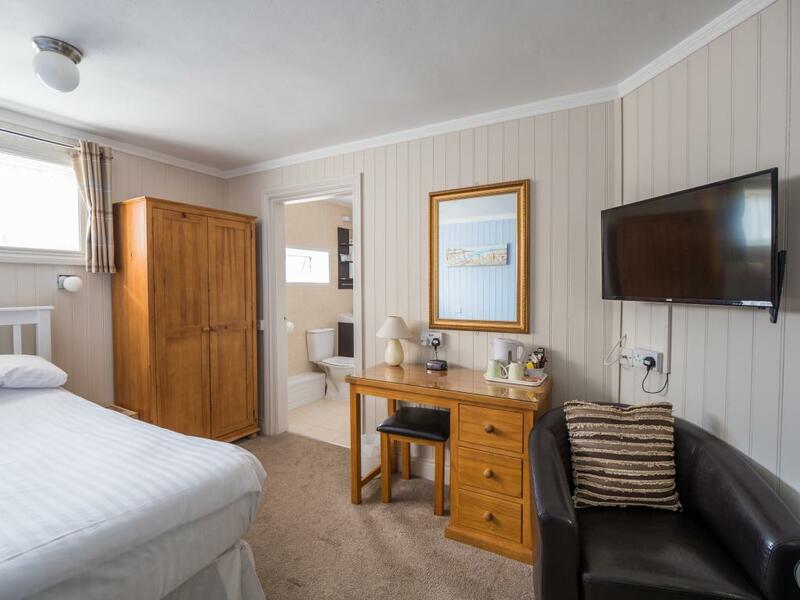 There is a comfortable seating area and modern en-suites, with shower, toiletries, sink & toilet. 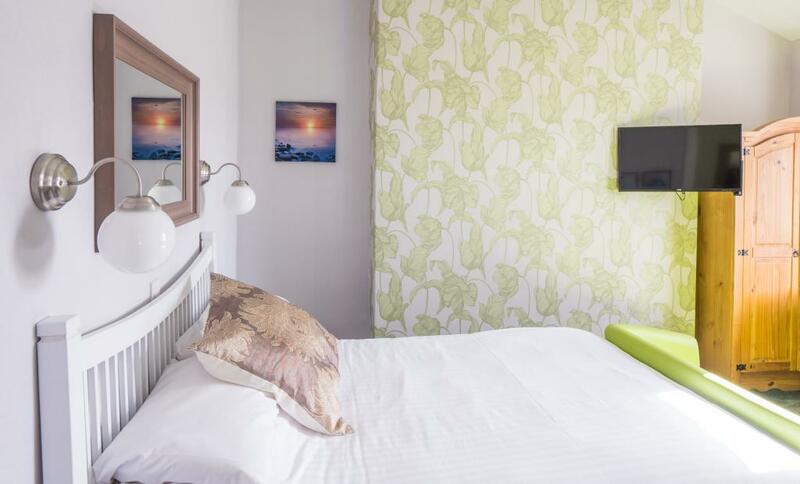 There is a hot drinks tray with a wide selection of products which are replenished daily, a large flat screen digital television, radio alarm clock, fluffy towels & hairdryer. 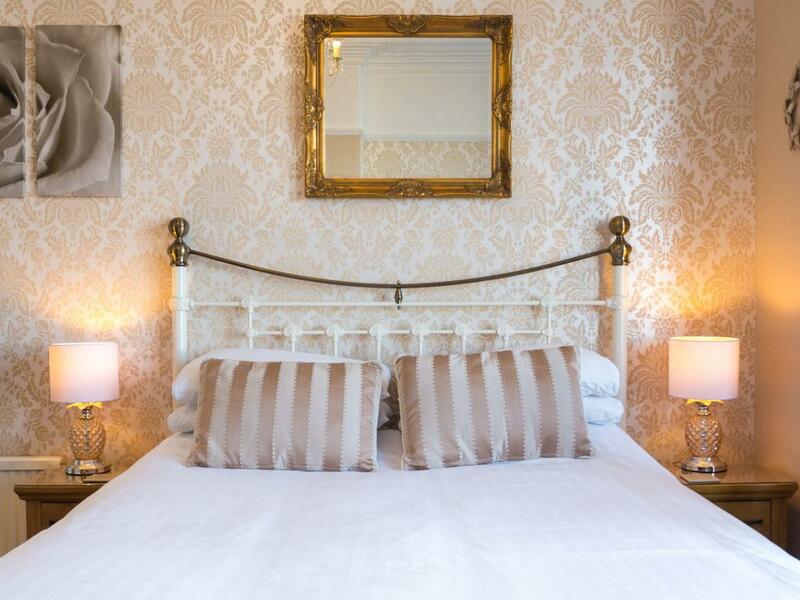 Room 10 is everyone's favourite; a large and well proportioned beautiful room with king size bed on the first floor. 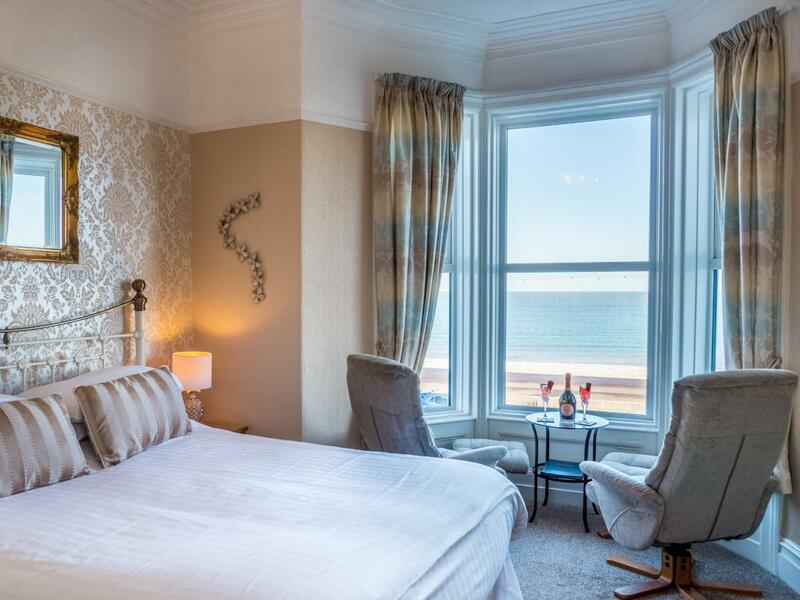 It has a comfortable seating area nestled in the large bay window, where our guests can enjoy the stunning sea view. The room has a modern en-suite, with shower, sink & toilet. 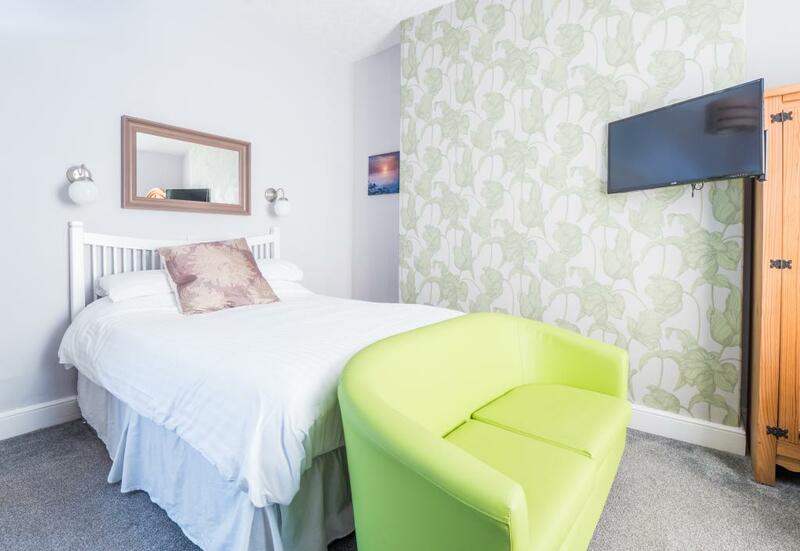 There is a hot drinks tray with a wide selection of products which are replenished daily, a large flat screen digital television, radio alarm clock, usb charging points, towels, toiletries & hairdryer. 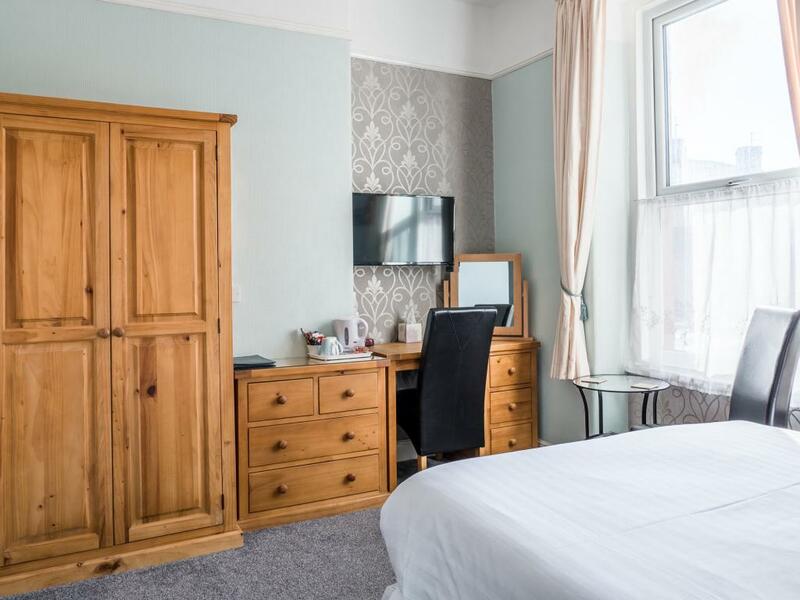 Room 14 is a well proportioned, beautiful king-bed room, with quality solid wood furniture and soft carpets, on the second floor. 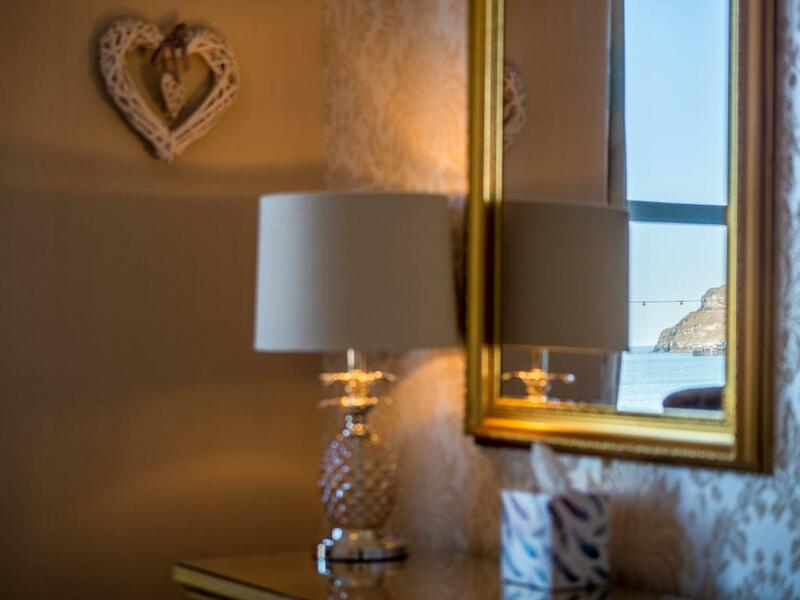 The room has a comfortable seating area nestled in the window, where our guests can enjoy the stunning sea view. 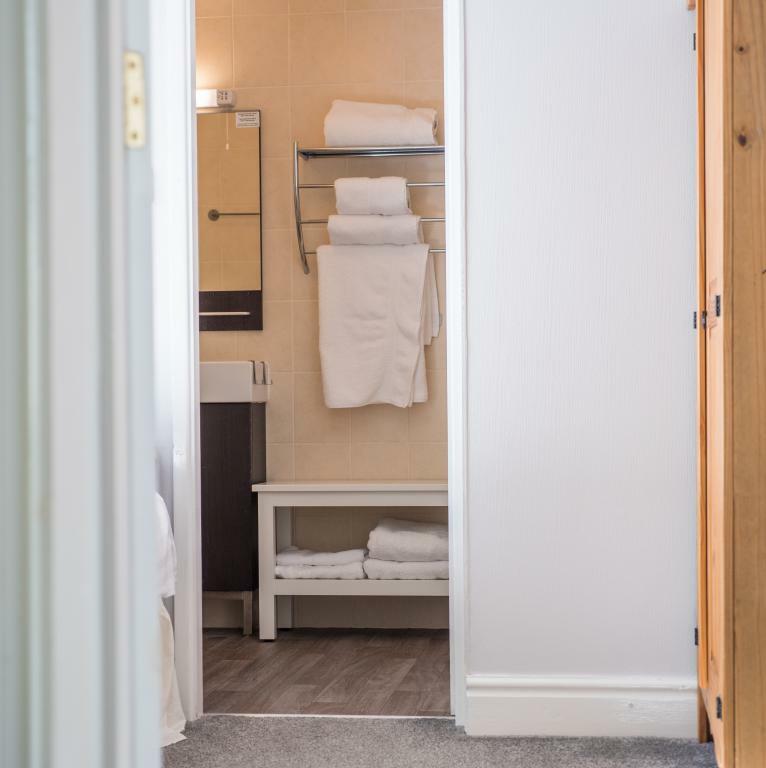 Each room has a modern en-suite, with shower, toiletries, sink & toilet. 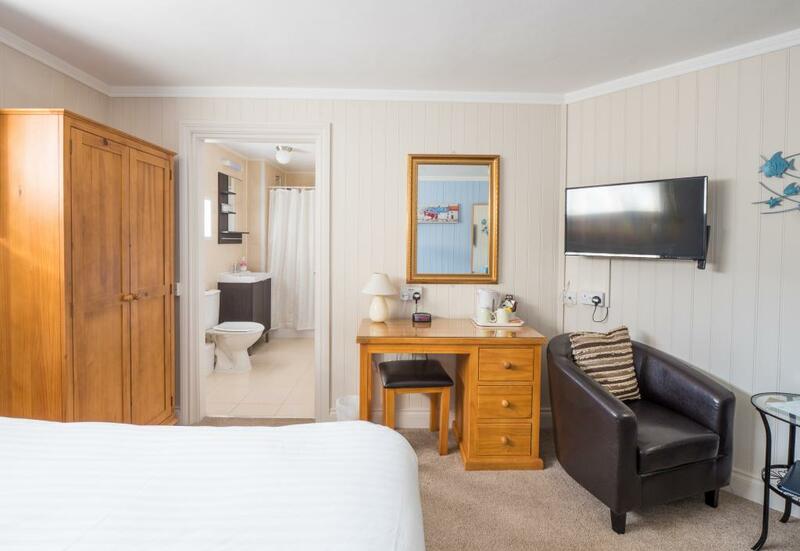 There is a hot drinks tray with a wide selection of products which are replenished daily, a large flat screen digital television, radio alarm clock, fluffy towels and hairdryer.